Saint Lucia- A British Commonwealth Country, which is an Island, located in the central eastern Caribbean. It is a part of Windward Islands (called as Islands of Barlovento and are the southern, generally larger islands of the Lesser Antilles, within the West Indies). It covers an area of 616 sq. kms with a population of 160,000, in which almost 90 percent are of African descent. Saint Lucia is known as "Helen of the West Indies". 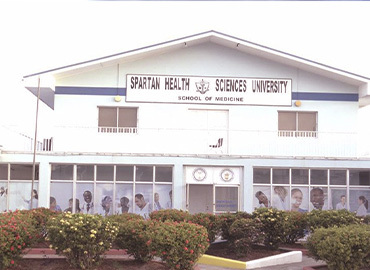 Also, Saint Lucia is known for its quality medical education delivered through its Top Medical Institutions. It provides one of the best MD programs in Caribbean. Weather- Tropical climate in which it is hot and humid throughout the year. Tourists attractions- The Pitons, Marigot Bay, Hiking the Tet Paul Nature Trail, ATV Tour in Saint Lucia, Sulphur Springs Park Scenic Drive, etc. Based on British Education System model. Recognition of Medical Degrees- Indians can easily practice their medical career in India upon their degree completion as Saint Lucia offers globally recognized degrees. Medical Council of India (MCI), International Medical Education Directory (IMED) and enlisted with World Directory of Medical Schools (WDOMS).